An experimental miniature exhibition by artists Canan Demirel, Esra Karaduman, Hilal Arpacıoğlu and Yasemin Akyol will open on June at the Caddebostan Culture Center (CKM) in Istanbul. The exhibition, titled “Experimental-Traditional,” brings together four artists of different styles while displaying what they have in common. The artists, who have studied traditional arts for many years, will display the original styles they have freely used in their experimental works without depending on strict rules of classical arts. Specializing in miniature and illumination arts and having works in various collections in Turkey and abroad, the artists take art lovers to different worlds with their original style, color and perspective. The poetic narrative of this art comes to the forefront in the designs, which contain fine details and different interpretations and materials. In her work, Demirel adds miniature techniques to her graphic design experience, interpreting the Byzantine, Ottoman and present eras with fine details. Miniatures were originally a book art that documented historical events, and the three artists in the exhibition interpret them in a poetic way with a unique point of view. Arpacıoğlu, who takes his inspiration from nature, chose the creation of snails as the best image to describe nature and life, blending a surrealist style and traditional elements in harmony. 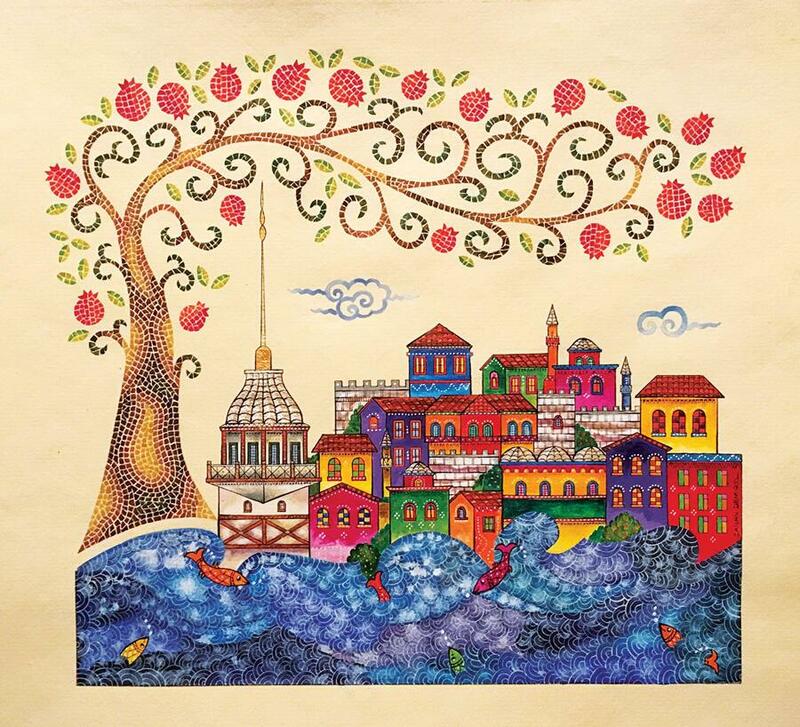 Akyol mostly uses the theme of Istanbul in her works and likens the city to a pomegranate. Curated by Ceylan Harmancı, the exhibition will run through June 7.